A lot of HR professionals find it hard to take a vacation. It can be because they’re a department of one, or they don’t trust their coworkers and employees to do the right thing without them being present, or maybe they feel they haven’t done enough to warrant a vacation. As HR, you need to work out these feelings and figure out how to fix them. Clocking out and going home at night isn’t a way to let go of the job because if you’re like me, you’ll come home and do more work or work on personal HR goals you might want to obtain. If you don’t trust the people on your team to do a great job, why do you still have them there? I don’t know about you, but my month of January has been hectic and long! 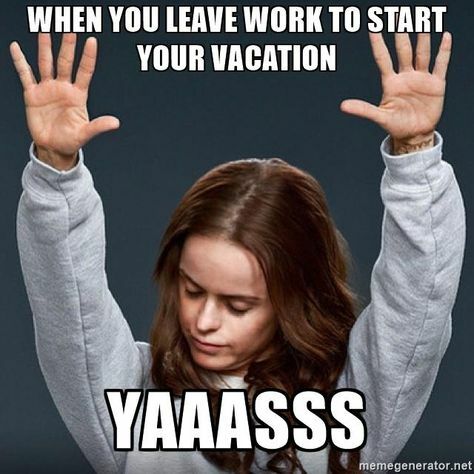 I’m not advocating taking a vacation at the end of every month, we do need to get some work done. But, I do think it is important for professionals to realize how much work and stress goes into a normal day and how we take the time to process everything we’ve been through. Stepping away for a moment can help you to see things differently when you’ve rested. In HR we have a good amount of work going on, we have employees and companies we are trying to help, we prepare for conferences, we volunteer our time. We love to think we are have the best multitasking skills in the world, but the truth is, we struggle. Burnout has been a major topic in the business world over the last few years and people are trying to figure out what they can do to avoid it happening to them. It might not solve all of your problems, but being unhealthy and stressed out in the workplace will only make it worse. It doesn’t need to be the most lavish expensive trip of your life, visit that beach, go out-of-town, have a week on your couch, visit the museum, finish that book or TV series.